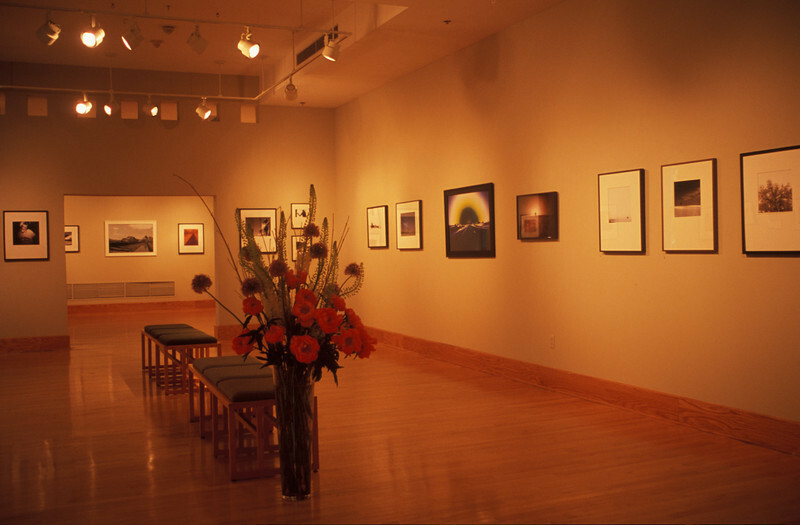 Sightings was on display at the List Gallery in the Lang Performing Arts Center at Swarthmore College during the month of June, 2006. The show was inspired by a series of images taken by both father and son of each other in the process of taking photographs. It features the work of these two generations of photographers, their unique styles, and their influences on each others work. Proceeds from the sale of photographs will be donated to the Wes Wehmiller Endowed Scholarship at Berklee College of Music. Below is the text that was provided to all exhibit attendees. John Wehmiller began using a camera early in his life under the tutelage of his father, Fred Wehmiller, an inventor and avid photographer. As a young child traveling with his family throughout North America and Europe, John was nurtured by his fathers passion for sighting and recording with his camera. At home in St. Louis, Missouri, John spent hours at his fathers side absorbing the techniques, wisdom and magic of the dark room. He has kept his fathers negatives dating back to the 1930s, and a selection of Fred Wehmillers photographs will appear in the show along with his son and grandsons work. As the father of two sons, Wes and Abe, John passed along his love for travel punctuated by ritual curiosity stops to photograph the landscape. He has also fostered an enthusiasm for the beauty of the earth in generations of students at the University of Delaware where he has taught geology for almost 35 years. His work has been shown in the Lewes Fine Arts Show for the last three years, and appears in the collections of families on the east and west coast. Wes Wehmiller, who along with his younger brother Abe, grew up in Swarthmore, Pennsylvania, was born with a great gift and love for music. Wes studied classical piano from an early age and eventually chose the bass as his principal instrument. Following high school, Wes earned a scholarship to attend Berklee College of Music in Boston. A successful career in music followed including five years touring worldwide with the multi-platinum pop band, Duran Duran. A recognized master of the bass, Wes brought the same intense focus, curiosity and mastery to the camera. In January of 2005, Wes died of thyroid cancer, leaving a legacy of love in the music he composed, performed and recorded as well as the enormous body of photographic work he had produced as he traveled to perform music all over the world. Wes work has been shown at the Packard-Reath Gallery in Lewes, Delaware and appears on the websites, album covers and notes of many musicians based in Los Angeles where he was a session bassist. All three generations of photographers shared a love of trains, and the show features several images of Cajon Railroad Pass, located where the San Andreas Fault intersects the San Bernardino Mountains. In July of 2004, John and Wes enjoyed time photographing together in this place, famous among railroad enthusiasts because of the frequency of rail traffic, and the area has both historic and geologic significance. All proceeds from this exhibit will benefit the Wes Wehmiller Memorial Scholarship Fund established in Wess honor at Berklee College of Music. The photographs from "Sightings" are presented in this gallery as listed below - this list was available for all who attended the show. Overview photos of these photographs, taken the day the show was hung, are presented here. In the coming weeks more detailed versions of each photograph will be posted. Last updated July 27 2006. Most of these photos are limited editions. For further information contact jwehm@comcast.net. 19	WW	Self-portrait, Santa Monica Mountains, July 23, 2003. 34	WW	Gadgets #5. This is a close-up view of the camera mount that is on the display pedestal adjacent to the photograph. The camera mount was passed on from Fred Wehmiller to John, then to Wes. 46	JFW	Family Tree in Winter, Chester County, PA. 1997. 47	JFW	Under the Tree of Life, Pilottown Road, Lewes DE. Dec. 2001. This tree is considered the largest hackberry tree in Delaware, and the cemetery is for the remains of Black soldiers who fought in the Civil War. 50	JFW	Colorado River, Grand Canyon Mile Point 139, April 1970. Wes is named for John Wesley Powell, visionary scientist who documented the Grand Canyon in the 1870s. Overview of the List Gallery; images 41-46 on right wall. #26 on far wall.